Popular new animation adds education and balance to children’s cartoons. There is a new cartoon that we think every pre-school and family should know about and that is Bino and Fino. This heart-warming animation is winning with its growing world-wide fan base that includes children and parents throughout Africa, Europe, North America, the Caribbean, South America and Asia. Bino and Fino is not only entertaining, but serves as a learning tool for children. “The medium of cartoon shows is a powerful influencer of young minds so why not use it to an advantage,” said Bino and Fino's creator, Adamu Waziri. Children seem to be excited about learning from the brother and sister duo. Three year old, London Blake, from St. Louis Missouri watches Bino and Fino via Youtube and explained why she loves the cartoon. “I like Bino and Fino because they go on fun adventures in Africa and Fino looks like me and even her hair is like mine,” said Blake. Bino and Fino teaches us many things that all kids need to know, but more importantly it also teaches us about Africa and its true light. Set in a Sub-Saharan African city, Bino and Fino has a modern twist of African culture but still remains traditionally pure. 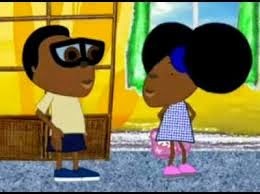 Waziri was inspired to develop the cartoon because there was a lack of children’s programming created within Nigeria. “All of the children’s cartoons where I’m from are imported. Plus none of them showed any characters that look like us. The older I became – the more I noticed it in other African countries,” said Waziri. Waziri stated that he had nothing against foreign shows but what he was concerned about was balance. The important existence of Bino and Fino is crucial to the self-esteem of children because we all know that beyond the layers of issues that affect our culture, an important aspect of this is centered by the lack of knowledge of who we are and sometimes a fear of cultural differences. In past episodes, Bino discusses Nigeria’s independence with his grandparents and Fino’s mere existence-- with her adorable natural afro-puffs and unapologetic confidence unknowingly makes a statement about self-acceptance and being a young girl in 2014. Although the intent of Bino and Fino is to entertain and educate, the intermixing of fun, history and honest dialogue raises our social consciousness in a way that has been absent in animation. It may be hard to talk about ,but recent news headlines have been immersed with racial issues and tension in our country. While this may be normal for adults to process, parents are concerned about how their children are affected and how all of these factors play into the way children see themselves and others. With programs that add balance to children’s animation like Bino and Fino, some children have an opportunity to see themselves in a positive light despite other influences. Also, many children are now able to learn about other cultures and see that despite any differences - all children matter. 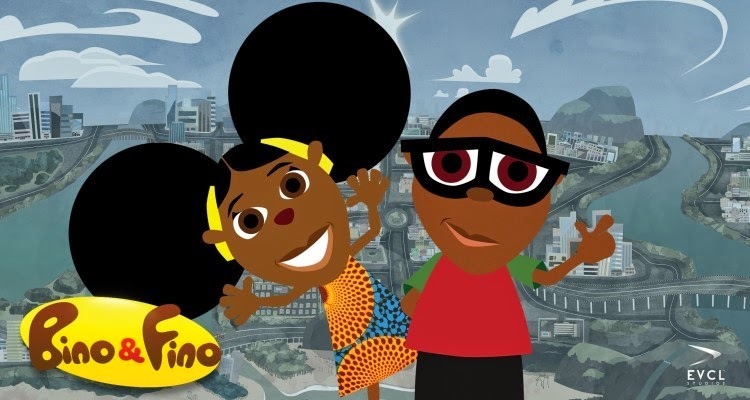 Bino and Fino’s new DVD series is set to be released this fall.